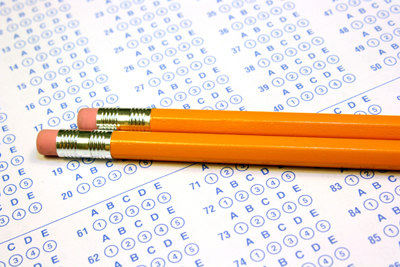 ​The Accreditation Written Exam: Now Available At a Testing Center Near You! Taking the Accreditation Written Exam just got 400 times easier. With the help of Castle Testing Centers, AACD members can now take the Accreditation Written Exam at one of the more than 400 Castle locations worldwide. Choose a location that's convenient for you, August 1 through December 30 and you'll be on your way to completing the first step toward achieving AACD Accreditation! In the past, the exam had only been offered during annual scientific sessions. While the AACD will continue to offer the exam at future sessions, you'll also have the option of taking it at a Castle testing center near you. The application fee for taking the written examination at a computer-based Castle Testing Center is $685 (USD). This fee is due upon application. Individuals will select from a listing of available testing centers by geographical location and test date. The application fee for taking the written examination at a computer-based Castle Testing Center is $685 (USD) due at time of application, plus an additional scheduling fee of $150 (USD) due at the time of scheduling. Individuals will select from a listing of available testing centers by geographical location and test date. It's never been more convenient to take the AACD Accreditation Written Examination. Is There a Testing Center Near Me? Click here to find out. Registration for the annual scientific session written examination is also open now!